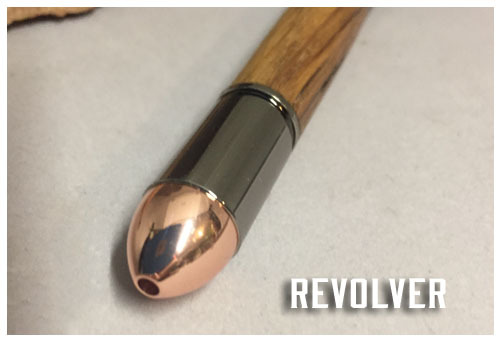 This style pen is the "Revolver" bullet pen. Perfect for the gun enthusiast! 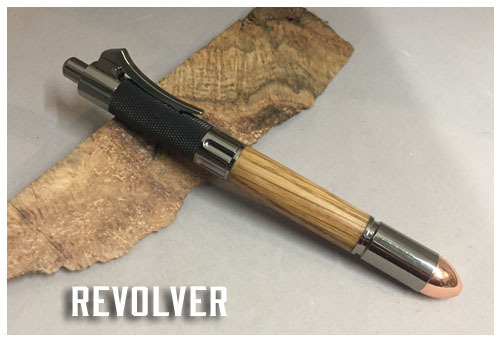 The pen mechanism is based off a .45 caliber revolver! 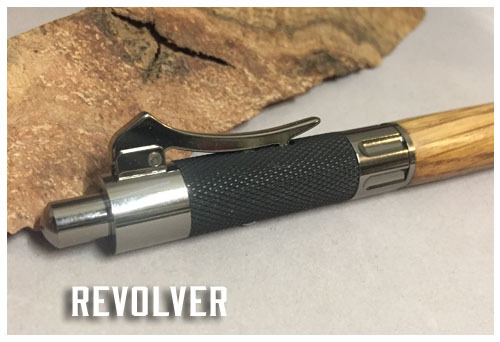 Press the button at the top to extend the ink, and the cylider rotates like a real revolver. To retract the ink, pull the "trigger". The top of the pen is textured like the grip of a pistol. This pen uses a Parker refill.